-Some sources report "D 11"
Jan 26 -A Philadelphia newspaper reported that "Billy Smith"
the west. 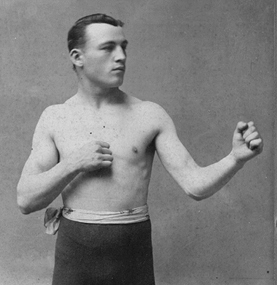 His last victory was over Danny Needham. Feb  1 Harry Gallagher            Philadelphia, Pa                 ND  4 . Mar  5 Young Hagen                Philadelphia, Pa                 TK  4 . Mar 14 Ed Vaughn                  Baltimore, Md                    TK  4 . Mar 30 Bill Husbands              London, Eng                      TK  8 . -Reports vary - "W 15" - "W 20"
-Some sources report "KO 1" against "Jack Mulligan"
Some sources report "LF 5"
-Some sources report "LF 10"
However, some sources report "LF 11"
-This bout was a "fake"